Hot on the heels of winning a CIPR PRide Award for Best Property PR campaign, Luminescence has been shortlisted by the Construction Marketing Awards (CMA) 2017. The awards showcase the construction industry’s creativity, innovation and effectiveness in marketing. Earning its place as a finalist for both the Best Professional Services Marketing Campaign and the Best Use of Press & Public Relations – also for work with Clear Architects – Luminescence beat a record volume of entrants in these awards. 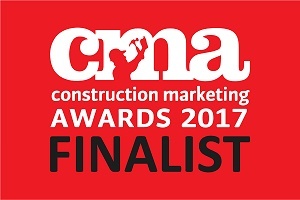 The Construction Marketing Awards (CMA) 2017 are endorsed by the Chartered Institute of Marketing (CIM) Construction Industry Group and are sponsored by prestigious media such as RIBA Journal and Architecture Today, as well as industry federations. “We are so thrilled that our work with Clear Architects has been shortlisted for yet more prestigious industry awards. As a team, we are motivated by helping clients to communicate their expertise and credibility with flair, and in a way that actually ‘moves the needle’ in terms of business impact. The 18th Construction Marketing Awards Gala Dinner will be held at the Portman Square in central London on Thursday 30th November 2017. This year, Luminescence has been a Finalist at the national CIPR Excellence Awards and winner of the regional CIPR PRide Awards ‘Best Property PR campaign’ for its work with Essex-based Clear Architects.